In a year which did so much to highlight the future possibilities for creative innovation in prog through its openness to modern sounds and willingness to integrate contemporary ideas, it is only fitting that the release of Dårskapens Monotoni from Swedish band Kaipa DaCapo should bring 2016 to a close with a thoroughly remarkable and hugely impressive reminder of the heartfelt values and resonant vision which have always been the lifeblood of progressive rock. Akin to the sensual warmth of a lover’s embrace, encountering it for even the very first time has the immediate and seductive power to transport you from the immediacy of the present to the happy and heady heydays when prog was blazing a shining trail through shimmering musical fields of Mellotron, Moog and Hammond flecked with the dappled sunlight of guitar brilliance and swaying in the breeze of cascading bass lines, swirling time signatures and gusts of intricate drumming virtuosity. I hope I will be forgiven for waxing lyrical but listening to this recording genuinely feels like a form of nostalgic homecoming, enfolding and uplifting with all the warmth and security the memories of such experiences provide. The music is wonderfully alluring and intense, echoes of the past blending with experiences of the present, enticing, compelling, engrossing and, by the end of the record, leaving you exhausted, happy and refreshingly satisfied. The album claims to be the first new studio release from the band in 35 years. 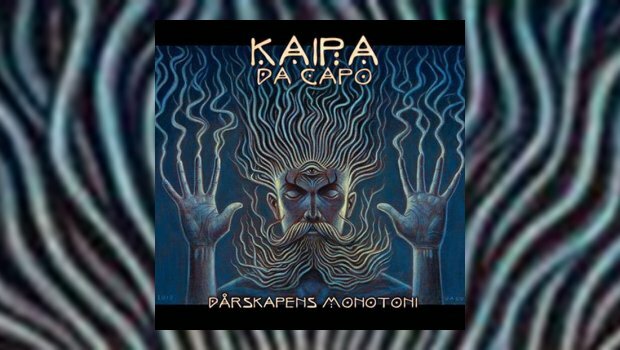 Originally formed in 1973 under the name Ura Kaipa and then shortened a year later to simply Kaipa, the core was built around Ingemar Bergman on drums (replacing Thomas Sjöberg who was diagnosed with cancer), Thomas Eriksson on bass, Hans Lundin on keyboards and Roine Stolt on guitar. They recorded three albums – Kaipa (1975), Inget Nytt Under Solen (1976) and Solo (1978, with Mats Lindberg replacing Eriksson) – before taking a brief break in May 1979, at which point Stolt and Lindberg departed. 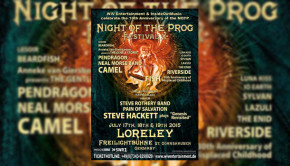 The band continued recording and touring with various lineups until disbanding completely in 1982. Stolt and Lundin reformed the group with a new outlook in 2000, releasing three albums before Stolt left again in 2005, Lundin continuing to steer his version of the band through a further four albums to date. Dårskapens Monotoni marks the reunion of Bergman, Eriksson and Stolt who are joined by Max Lorentz on keyboards and Michael Stolt on vocals. Listening to this new release is in many ways like listening to the original three albums: there is a clear, focused and quite passionate intent to remain true to the original spirit, style and sound of the band from their origins in the mid-70’s which is, ultimately, hugely successful. What is also clear from the dynamism of the music is the fondness they have and the respect they share when playing and responsively interacting with each other as a band. There is natural energy permeating the album, a sense of vitality and joyful enthusiasm which emerges and sparkles throughout the recording, endowing the music with an organic sense of purpose and togetherness. In part, this is no doubt due to the recording process itself with the band playing as a live five-piece in the studio and small overdubs taking place afterward. Stolt’s production values are superb, the musicianship individually and collectively elevated, transparent and crisply defined. In part, however, I think it also comes down to the simple fact that this is good old fashioned, darned fine music, built on strong songwriting, intelligent compositions and the sheer enjoyment of talented musicians who are also friends playing together and doing what they love most. It’s a natural chemistry which just works and there comes a point where the only appropriate response is to sit back, close your eyes and enjoy the scintillating ride ahead. There is a short world tour in 2017 with the band promising fans they will sign copies of any ’70s vinyl records brought to the shows. Plus there seems to be a genuine eagerness in being together again, sharing their music in live contexts with the fans and a growing conviction that perhaps there may be longevity beyond this initial release and continuing the project into the future. Nothing definite is confirmed but based on the sheer musical excellence of Dårskapens Monotoni we can but fervently hope for more to come from this creatively exciting band.